To think I almost let Moonshine pass me by... While browsing through a list of countless metal bands, I spotted Moonshine, who really didn't look too much different from anyone else, but I randomly chose them as a candidate for new music. I'm extremely happy I did because they blend melodious black metal and symphonic elements, which makes for an engaging listen. Hailing from South Korea, the band is an oddity because the primary music scene is composed of pop, electropop, and anything catchy that will get your spirits up and moving. As a general rule of thumb, anything harder is shunned and pushed to the back of society's collective mind. I suppose that isn't any different than metal in the USA, but in South Korea it seems to get even less of a chance to shine, which is a shame, really. I'm particularly drawn to Moonshine because the symphonic elements accent the already catchy riffs and force the music stay with you, as opposed to going in one ear and out the other. Considering what I've heard is the band's debut, I'm mighty impressed. As always, let's let the music do the talking, shall we? These are the only two tracks I can find on Youtube. They aren't necessarily my favorites from the debut, but they are still very good. 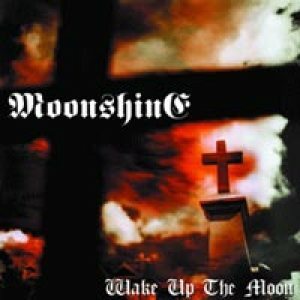 Moonshine - "The Memorable Tide"
Moonshine - "Wake Up the Moon"